WePay has launched improvements to our merchant reports, making them more reliable and intuitive. This is the first step in a set of broader improvements to the WePay Merchant Center coming later this year. Our product and engineering teams have built new robust reports infrastructure that will scale with us and our partners as we continue to grow. Within ten minutes of request, reports are generated and merchants are emailed with a link to download them. There is a six hour latency period on reconciliation report data and a 36 hour latency period on transaction report data. These improvements will also affect platforms delivering merchant reports via Reports API (also live now). This API allows platforms to deliver both transaction and reconciliation reports to their merchants seamlessly inside of their own UI without ever sending merchants to WePay. For more information please contact sales@wepay.com or your Account Manager. 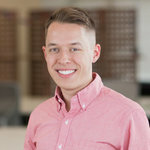 Alex Smith is a Product Manager at WePay, where he is responsible for developing, communicating, managing, and executing the product roadmap.